Thanks for the review! I appreciate it! I'm glad that even though the book wasn't grabbing you, you kept with it to the end. Hello, this is Walter Rhein again. 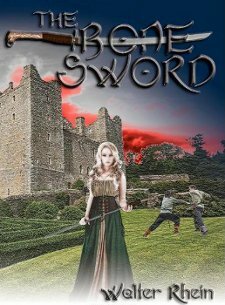 I realize that you didn't particularly care for my novel "The Bone Sword" but I have a new book out and I was wondering if you'd like to look at it. It's called "The Reader of Acheron" and it was published with Perseid Press. Perseid is run by Janet Morris, who is famous for her contributions to the Thieves' World books. Please check out the current reviews for reader here: http://www.amazon.com/Reader-Acheron-Slaves-Erafor-ebook/dp/B00HS1532E/ref=sr_1_1?ie=UTF8&qid=1393532568&sr=8-1&keywords=walter+rhein+the+reader+of+acheron and if you're interested in reviewing this, just let me know!